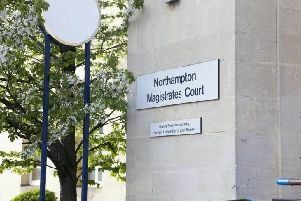 Almost £80,000 worth of fines were handed out by Northamptonshire Police officers in the year after the new ‘careless driving’ offences were introduced two years ago, new figures show. Data released under the Freedom of Information Act shows that 726 drivers were given £100 fines after they were caught using a mobile phone at the wheel between August 2013 and August 2014. During the same period, a total of 40 people were fined for ‘driving without due care and attention’ and 23 were given fixed penalty notices for driving without reasonable consideration to other users, this includes ‘hogging’ the middle lane of a motorway and driving through a puddle and splashing pedestrians. Two people in the county were fined £100 for using a mobile phone while supervising a provisional licence holder. Nationally, 10,000 motorists have been fined for offences such as tailgating, hogging the middle lane and undertaking on the inside lane since the new £100 fines for careless driving were introduced in August 2013. The force that handed out the highest amount of fines for careless driving during the year was the Met Police (1397), while South Wales and Essex Police did not prosecute any drivers. Professor Stephen Glaister, director of the RAC Foundation, has backed the use of the on-the-spot fines, but said they had to be enforced consistently across the country. He said: “As with using mobiles at the wheel and drink-driving, it is not enough to outlaw anti-social behaviour on the roads.